As a way to learn myself (by sharing what I have learnt 🙂 ) , I am going to make notes on all my key learnings as a Product Manager. So I am starting this series today and I am going to organise into the following categories — Newbies, Business & Finance Intelligence and Product Management general practices. Understand the ‘Problem’ . Define the ‘why’. Many times early in my career as an engineer / developer, we used to talk about solutions. Cool Features. Cool new technologies. Not problems they were going to solve. Define the problems and make them the most important guiding light. It could be problems of a user segment, or specific business problems. These problems should guide the solution. If you are very clear about the problem, comparing solutions would become easy. Calculating ROI (return on investment) of a particular solution is going to be easy. Validating the solution is going to be easy. You can ask/ validate whether this solution is solving the original problem you set out to solve. So, very very clearly define the problem a product / feature is going to solve. Your solutions might keep changing but the problem wouldn’t / shouldn’t unless its not a valid problem at all. Step 1: Talk to people. Become a user yourself. When you talk to people, they wouldn’t usually tell you their real problem directly. So talk to a lot of people and make your own notes on what is underlying common theme. Whats the underlying real issue at the symptoms people are describing. Step 2: Then write your conclusion about the problem down. Validate that written definition with the users. Step 3: If users agree, you now have a defined problem. If not, go back to step 1. And next time if you have to compare two existing apps in the market, or two solutions, don’t compare their features, compare how well they solve a given set of problems in their order of priority. Are you paying attention to the most important investment you ll ever make ? I believe people are the most important assets of any company, great people can take companies to great heights. Lack of great people can seriously limit a company’s growth. I also believe many leaders / companies realize this. But do they invest enough time in the hiring process ? What about you / your company ? Do you / folks in your company know exactly what all qualities / competencies you are looking for in a leader / manager you plan to hire ? Do you know which one of the above are ‘must have’ (rejection criteria, base acceptance criteria) vs ‘nice-to-have’ ? These are not fancy bullet points in your JD, these are specific areas you would cover in the interview. Do all your interviewers know about the ‘must-have’ and the ‘nice-to-have’ lists ? 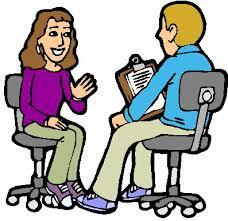 Do all your interviewers know how to test for the must have qualities ? Are they sure that they can tell good answers from bad ones ? How are they so sure ? Do you know which one of the qualities you are looking for is a ‘talent’ vs ‘skill’ vs ‘knowledge’ ? Do your interviewers know that knowledge can be acquired easily, skill too can be acquired with a bit of time and effort, but its extremely hard for folks to acquire talents ? I mean to say, that your must-have list and interviewing should be focussed talent first, skill second and then knowledge third. ( roughly 50% on talent, 30% on skill and 20% on knowledge) . Lack of a specific knowledge should almost never be a criteria for rejection (.un-less the lack of knowledge in a particular area implies the lack of a specific talent which is a must have for your organization). I have seen several organizations struggling with the inability to hire, especially leaders / managers, and one of the primary reasons have been rejecting candidates based on petty reasons. (I mean to say – the lack of knowledge of a particular area when that knowledge is not even mission critical to the company hiring that candidate). This is where interviewer ego also comes into picture. Be careful of that. If your answer to the most of the questions above is ‘yes’ , you have very high chances of converting your candidates (And with a lot of confidence ! 🙂 ). Folks, who have a ‘no’ in most cases – you need to do something about it. Would love to hear your experiences, comments.